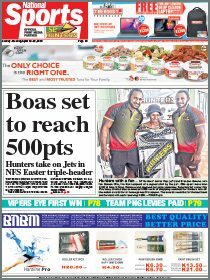 PRIME Minister Peter O’Neill is calling on people attending the match against the US Hawks on Sunday to turn up in the national colours of red, black and gold. He urged the nation to send off the Kumuls to Melbourne for the Rugby League World Cup quarterfinals next week on a high. On the first two matches against Wales and Ireland, he said: “It was great to see mums and dads, together with their children, attending the two games and supporting the PNG LNG Kumuls”. O’Neill said hosting the three matches had provided a wonderful opportunity to showcase Papua New Guinea to the world through live television coverage to more than 100 countries with an estimated television audience of 25 million. 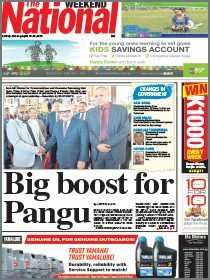 “Papua New Guinea sends our very best wishes to the PNG LNG Kumuls against the United States, and also in the quarter finals in Melbourne,” O’Neill said.